Just a day after Benjamin Geskin’s dummy photos for the upcoming Apple iPhone X Plus and the new LCD iPhone were released on the internet, a pair of videos showing Apple 2018 lineup has emerged too. Geskin’s iPhone pics revealed the mock-ups, rather than the real thing, they are still supposedly based on its depth schematics from sources in Apple chain. You can check out the video below. As with the photos, which were shared yesterday, the videos also show two or three iPhones Apple is said to be releasing this year. The iPhone is going to have a 6.1 inch LCD display and will represent the most affordable new handset. The premium 6.5 inch X Plus will come with an OLED display. Apple will also release a sequel of regular iPhone X. 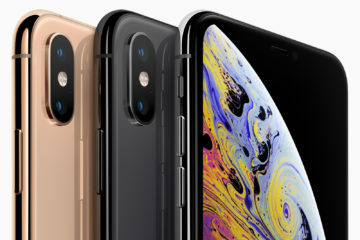 All these three iPhone models will be going to include a Face ID technology along with a great battery life. Both the smartphones will also feature thin bezels, and infinite Apple showcased with the iPhone X. Moreover, in the case of the LCD phone, the bezel will supposedly be slightly thicker than its OLED counterpart.